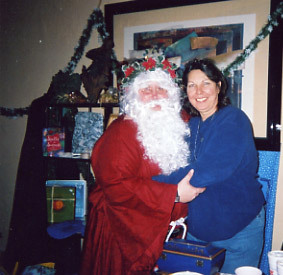 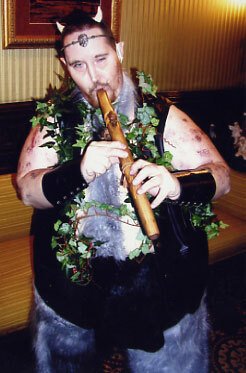 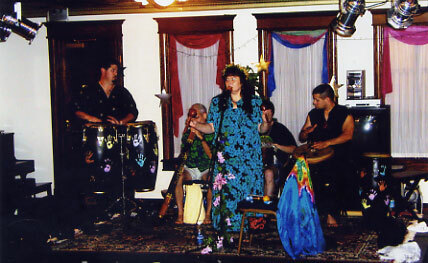 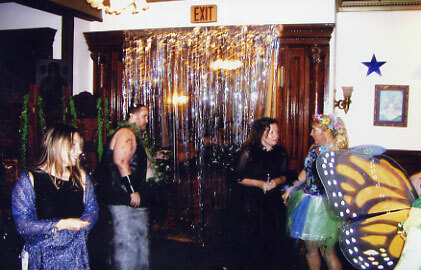 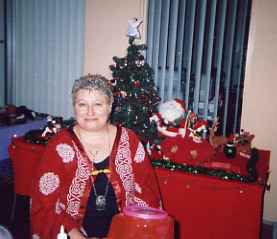 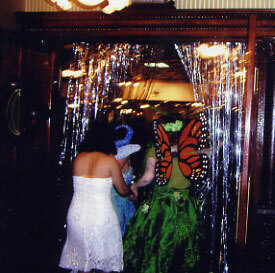 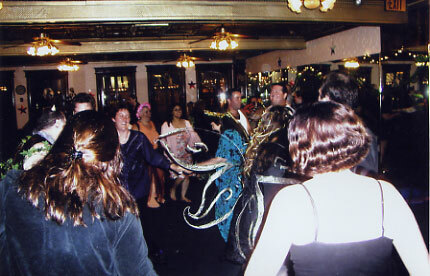 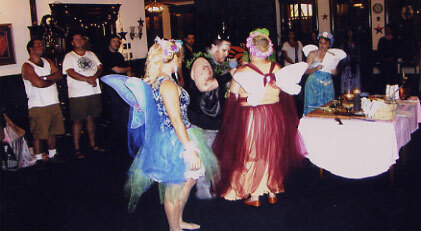 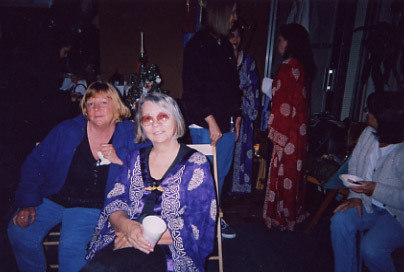 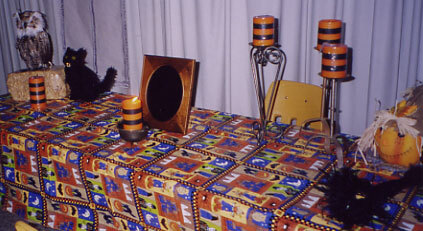 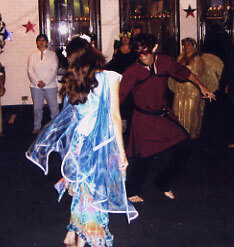 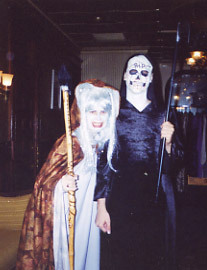 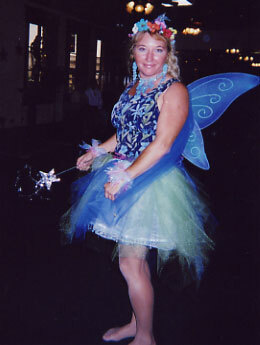 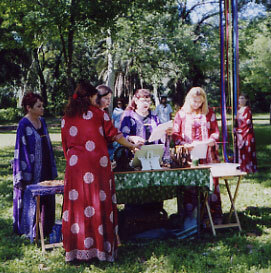 Although we began presenting open circle Sabbat rituals in 2001, members of the Ladies Tea Circle have over the years moved away or passed over, so that while the Tea Circle no longer meets and performs rituals together, the following photos show a sampling of some of the past activities. 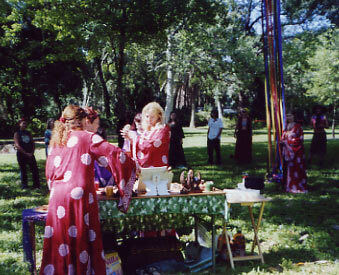 I have been conducting open circle Sabbat Rituals at my store, Luna Sol Esoterica, in Sanford, Florida since 2010. 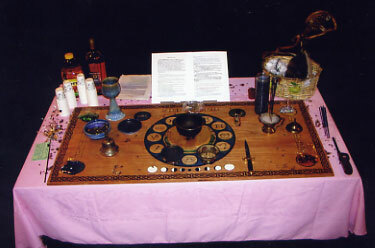 For the past few years Coven of the Goddess Moon has graciously offered to conduct the Ostara and Mabon Sabbat Rituals, providing open circle training for their members under the guidance of Lord Morpheus, Magus, and Lady Danu, Queen. 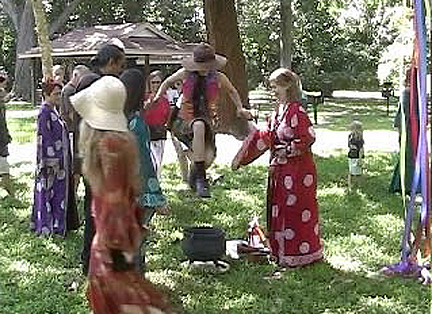 Coven of the Goddess Moon is a teaching coven and has had a large number of covens hived off over the years, hence the titles Mage and Queen. 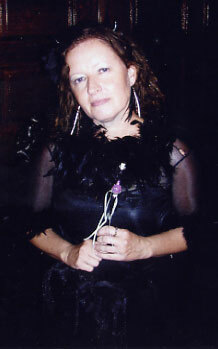 Be sure to check the store website for my classes, events, festivals, guest speakers, and rituals at www.lunasolesoterica.com for dates and details by clicking on the Events Gemstone at the sidebar. 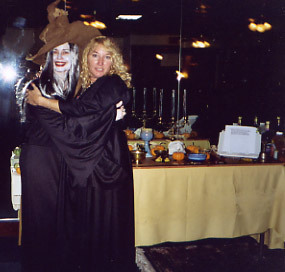 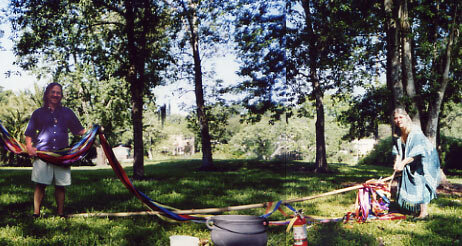 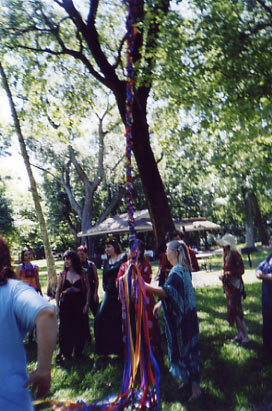 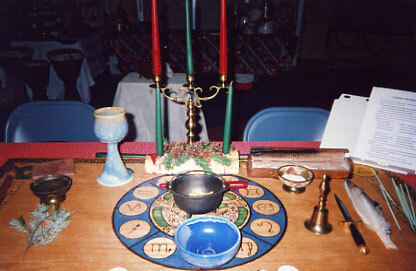 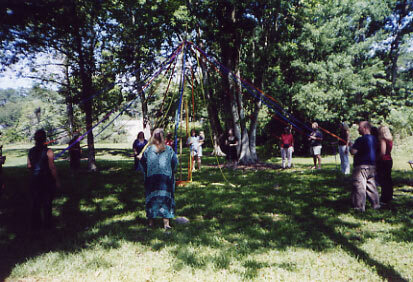 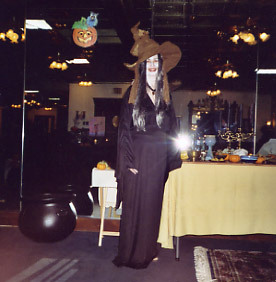 Ladies' Tea Circle presented 2002 Mabon for WRCF (Wiccan Religious Cooperative of Florida). 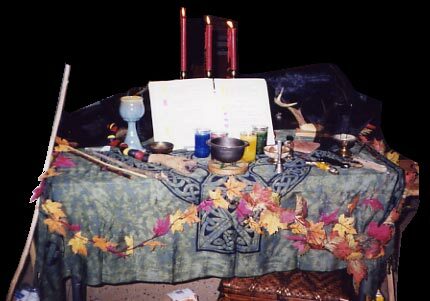 This is the Altar with Conch and Antlers draped in black at the end of the ritual.